Apart from the worldly experience, we are super happy to provide you along with our food and drinks, comedy as the funniest form of entertainment! We know that your love for comedy knows no bounds, and with each day your fondness for it grows and we are super happy to nurture it with shows that entertain and make you laugh. We've got your weekend to end on a high with Gaurav Kapoor and Rueben Kaduskar Live at Gravity Space Bar. 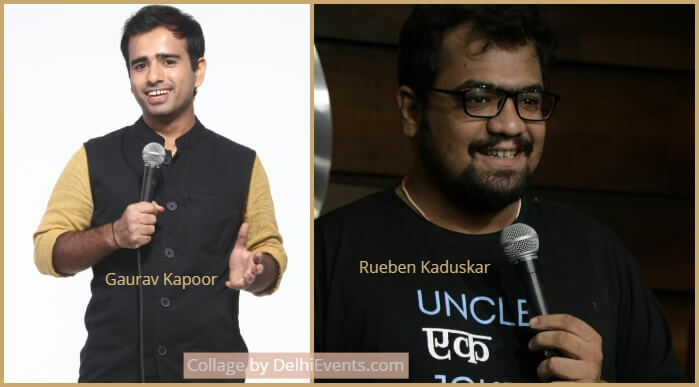 Killing their way through Canvas Laugh Club and Comicstaan, they are all set to perform their new set at Gravity. Wait till they crack you up and get your dosage of jokes, laughter, and a cherished time.